Healing is fundamentally about connecting us with the primal flow of our destiny, what the ancient Taoists who fostered Chinese Medicine called our 'ming'--our mission from the universe. We are all born with an innate purpose and to fulfill it brings us contentment, 'natural joy', which is the true happiness we are striving for. This is how we follow 'the Way of the Universe' as the Taoists called it (Lao Tzu, the great sage, most significantly in his book "Tao Te Ching" which bears the same title). 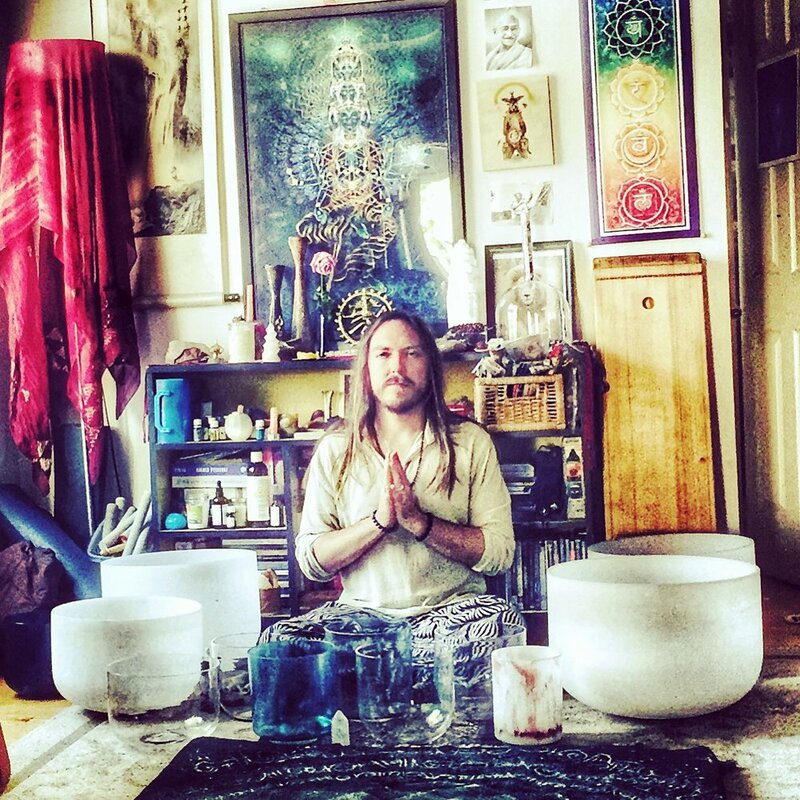 My approach to healing is a marriage between the mystical insights of our ancient ancestors and the pioneering of innovative, vibrational medicines offered by the field of Sound Healing. Holistic balancing of your energy centers (called 'chakras' in Sanskrit) via the use of tuning fork therapy. The tuning forks emit beneficial vibrations which help to harmonize and breakup stagnant energy contained in what is known as the 'biofield', which is the energetic field which surrounds the physical body. It has been well known by ancient medicine practices that this energetic field is a larger aspect of what makes up the human being and that many physical illnesses take their root in our more energetic being, especially emotional and psycho-spiritual imbalances. 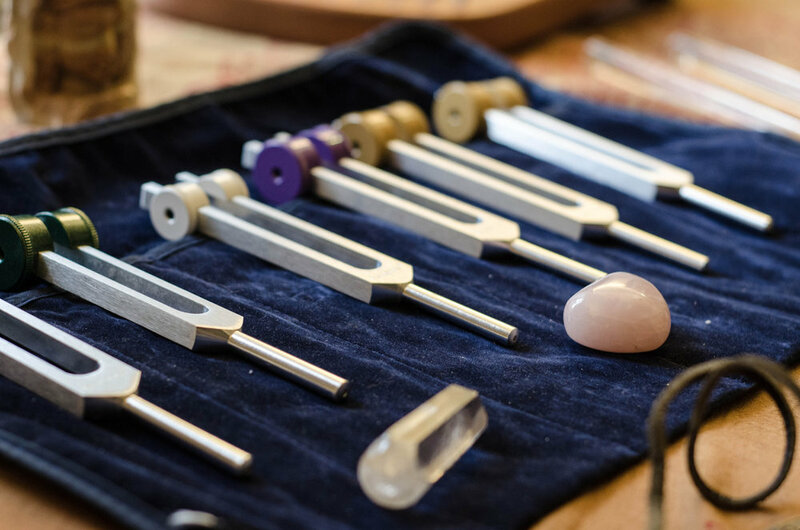 Following the work of the tuning forks, I will perform the profoundly healing sounds of my many crystal singing bowls while offering shamanic singing for a deeper layer of healing and integration. I also incorporate the ancient Monochord, a therapeutic instrument created by Pythagoras that is lain on the body and composed of 32 strings which vibrate the body with beautiful harmonic resonance. I also provide shamanic drum journeys to receive wisdom from our inner-guidance. *I will discuss any information I have picked up intuitively during the tuning fork session as it's common as I work with the energy body for stories, memories and past pains to emerge. This allows for those breakthrough moments to help people find again their flow, for it is often stagnant life-energy in the form of stagnant emotions that is the root of many modern diseases. My healing sessions are also adaptable to the diverse needs of the client. I've created grief ceremonies to help people let go of lost ones and find spiritual relation to them, teach meditation awareness practices and simple sound healing exercises and give dynamic wellness advice in realms of nutrition, stress relief and yoga and qigong.